We have a great post to share with you today! I’d like to say THANK YOU to everyone that played along with this month’s SKETCH FOR YOU TO TRY. I LOVE seeing all your creations using the sketch. Nicole, please contact info@reverseconfetti.com to claim your prize. 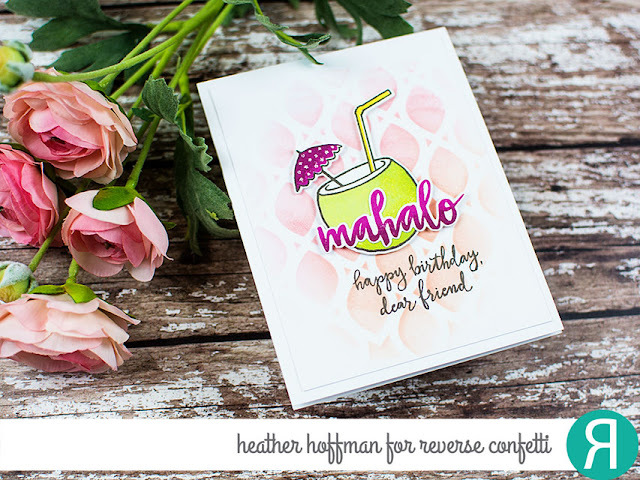 DISCLAIMER: My brain short-circuited the meaning of “mahalo” and confused it with “aloha” – so feel free to substitute a better sentiment if you wish! I name them all in the video – but here are all the different INKS I used on this card: Dark Roast, Pistachio, Lime Green, Magenta, Wine, Bumblebee, Bellini, and Coral. 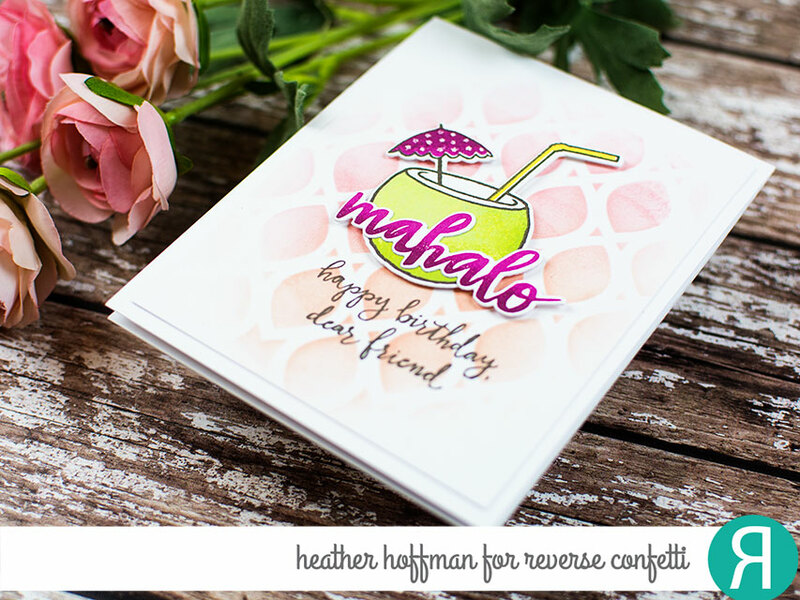 I love the way these bright colors all came together on this card – and the ombre effects on parts of the card by inking with two different colors, or using the older (but classic!) rock and roll technique! Howdy, ‘Fetti Fans and Happy Monday! I am happy to report that I am completely done with my chemo treatments as of yesterday! I had a total of 17 infusions, 6 of which were the yucky-make you sick and hair fall out kind. Eleven were 1 drug that needed to be continued for a total of a year (17 infusions – 1 every 3 weeks). Needless to say, I am glad this part of my life is behind me! Of course, I am a patient for life but this chapter is over and I am never looking back! Have you played along with our SKETCH FOR YOU TO TRY for February? Kelly, please email info@reverseconfetti.com to claim your prize. We also have a wonderful WEDNESDAY IN THE WORKS to share with you today. I hope that you have been enjoying the videos we have been sharing with you each week. The plan is to share a video with you on Wednesdays (or most Wednesdays). 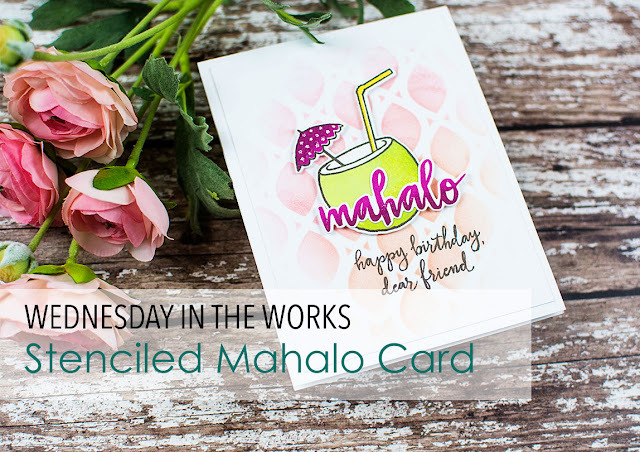 Are you asking “what exactly is WEDNESDAY IN THE WORKS?” It’s not really about one thing in particular, but rather “the works” of a stamped card or project. It’s us taking a closer look at how something is created, etc. 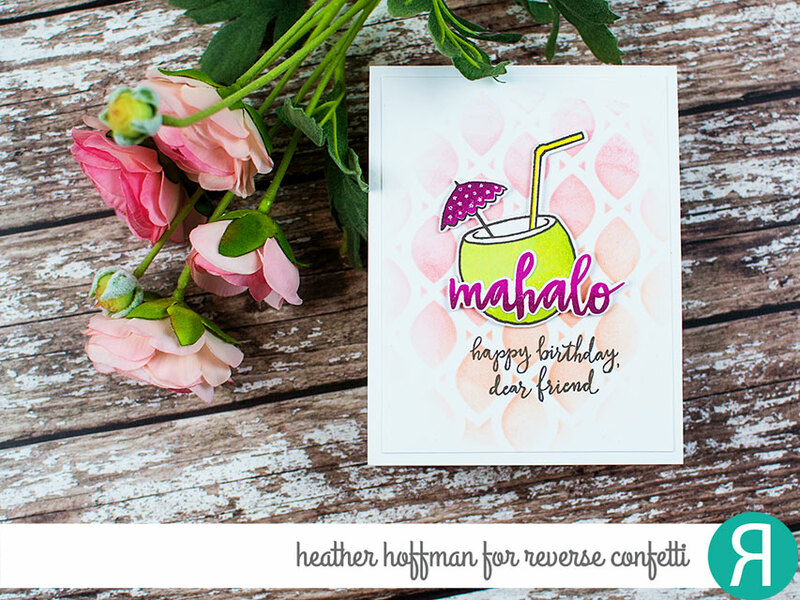 A variety of topics will be covered in this segment… from color combos to shaped cards to inspiration pieces to mixing and matching stamps and/or papers…and everything in between. Heather has put together a great way to use your inks and stencils for a fun ombre background. Hello! 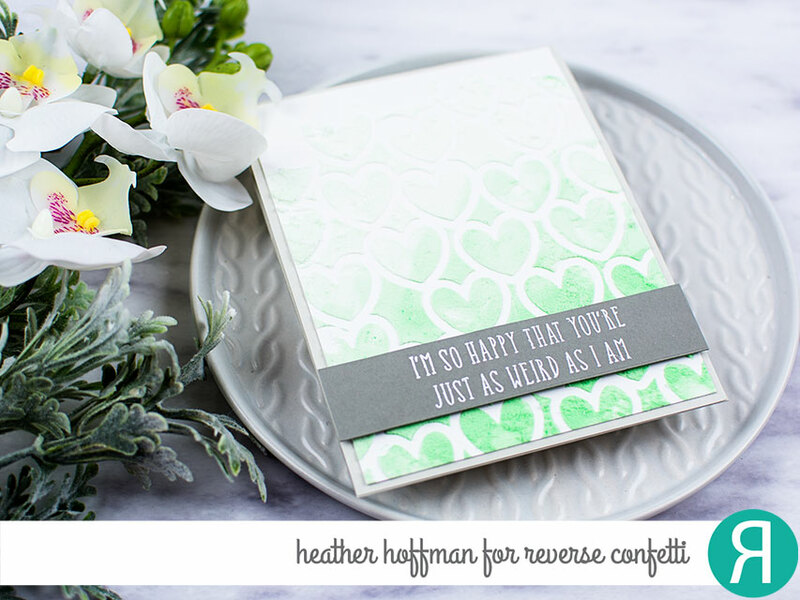 Heather here to share with you a video tutorial for a couple cards I made featuring beautiful Reverse Confetti Stencils paired up with white embossing paste and two shades of Reverse Confetti Die ink to get an ombre background effect! For this first card I used Pointed Out Stencil, then die cut the sentiment from Hello & Thanks Labels Confetti Cuts. 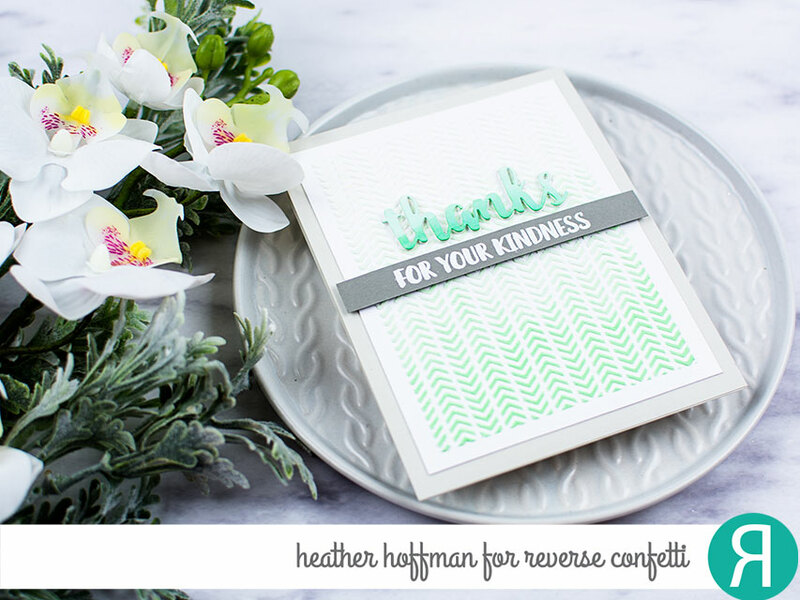 The added sentiment underneath is from Kindness Cards Stamp Set. 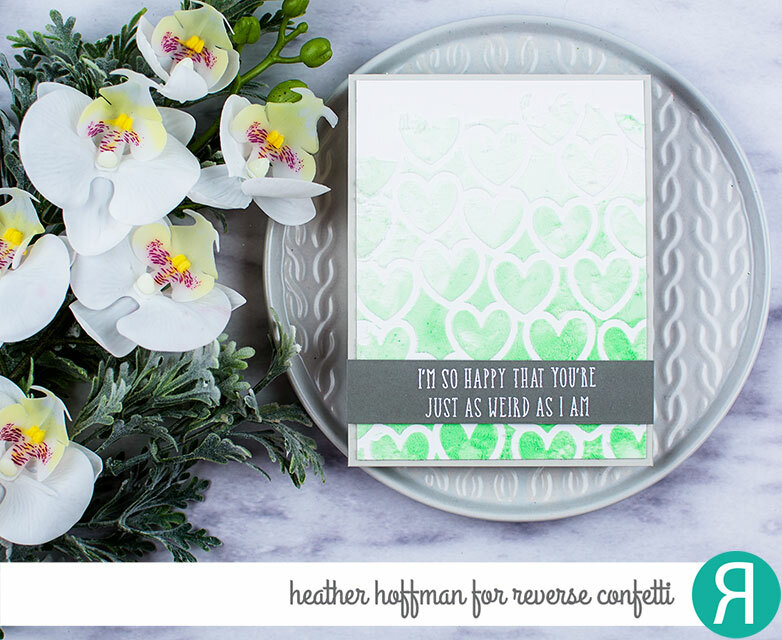 I love the finished effect – and there is something about mint and gray together, don’t you think? 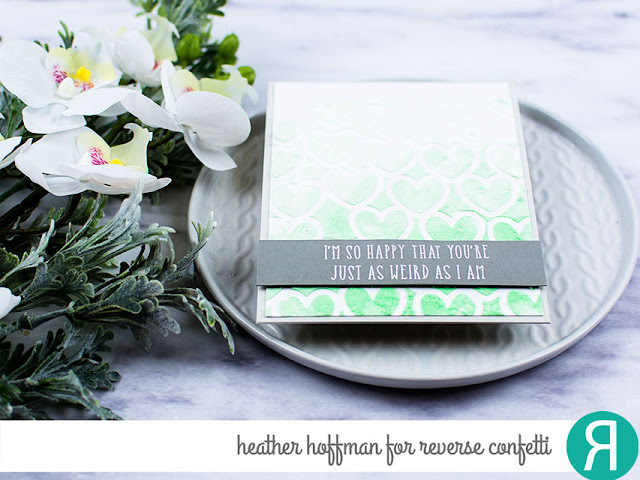 For this card I used Hearts Stencil, then added a sentiment from Crazy About You Stamp Set. 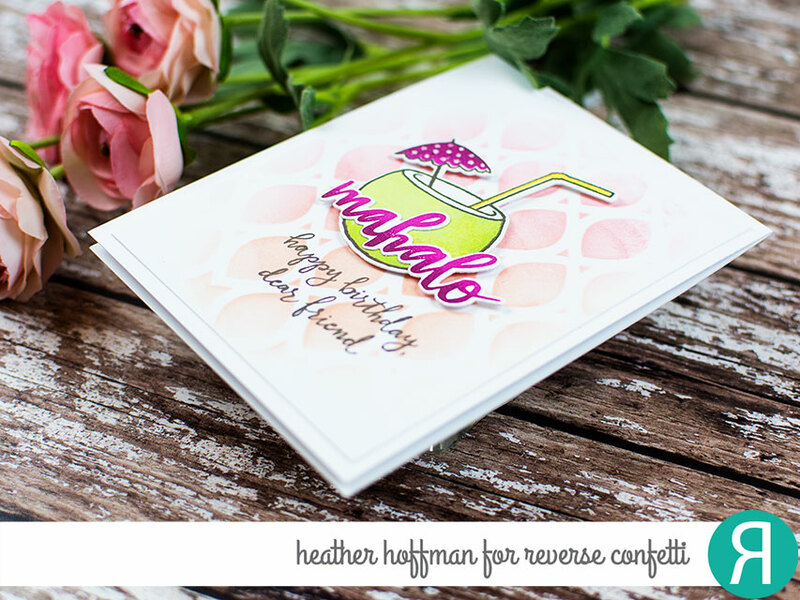 Both cards have a Stone Cardbase, and the heat embossed elements are on Stormy Cardstock. 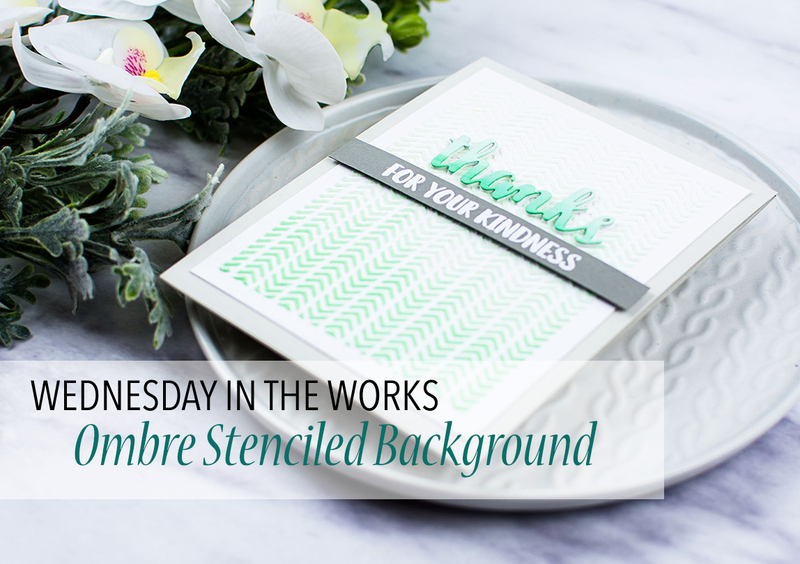 I left the texture bumpier on this embossing paste – lots of texture that way! We are in the final days to enter your SKETCH FOR YOU TO TRY card for January’s sketch. Greetings, ‘Fetti Fans and happy hump day! Have you played along with the January SKETCH FOR YOU TO TRY? We hope that you will play along for a chance to win a $20 store credit (that’s like getting free stuff just for stamping!). Hello, ‘Fetti Fans and Happy Thursday! This week is just zooming by and the new release packages are flying out the door on their way to you! If you are on the waitlist for the FALLING HEARTS PANEL Confetti Cuts, it will be back in stock soon. I love this panel and am excited that everyone wants to play with it, too! There are several other products from the release that are running low on stock, so if you are waiting to place that order, get it in. Of course, we will be re-stocking anything from the new release that goes out of stock. 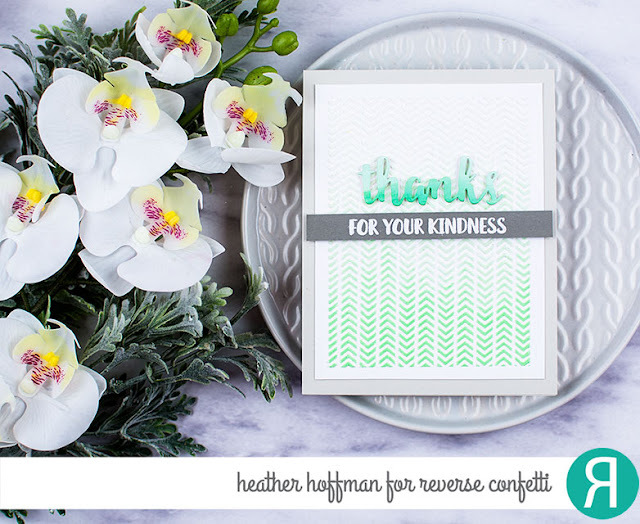 I just want to take a minute to say THANK YOU for all your sweet comments on the blog hop post. You all are truly the best! And, just FYI will be announcing the winner of the Season’s Giving hop tomorrow. Want to win some free $$ to spend in the Reverse Confetti store just for stamping? You have a chance by playing along with this month’s SKETCH FOR YOU TO TRY!